DEAL SOLD OUT: Save up to 69% off your stay at Grand Hyatt Bali with package deals from Luxury Escapes. Enjoy eight unforgettable nights with daily breakfasts, dining experiences, spa treatments, cocktails and more, for less than half price! Though be quick, this deal ends soon. You can buy now and book later – packages are valid for stays until 31 August 2018. Just 15 minutes from Bali Airport, the Grand Hyatt Bali offers spacious rooms with private balconies. 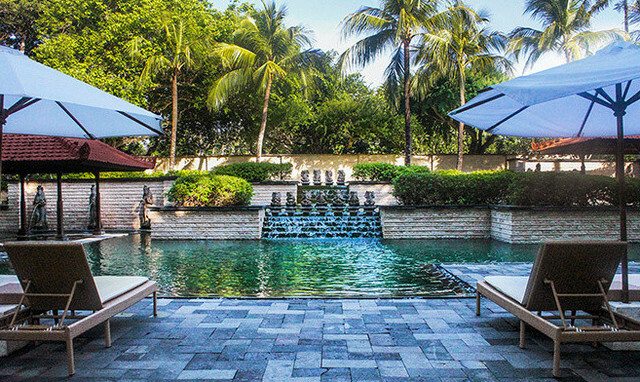 It features 5 outdoor pools, a well-appointed spa and 8 dining options. While Bali is one island, it’s a diverse patchwork of many destinations, so it may be in your interests to rent a car. Free parking is provided, though with the Grand Hyatt’s incredible range of on-site facilities you’ll be tempted not to leave the resort. Also consider that convenient private return airport transfers are included in packages from Luxury Escapes between the Grand Hyatt Bali and Denpasar Airport. 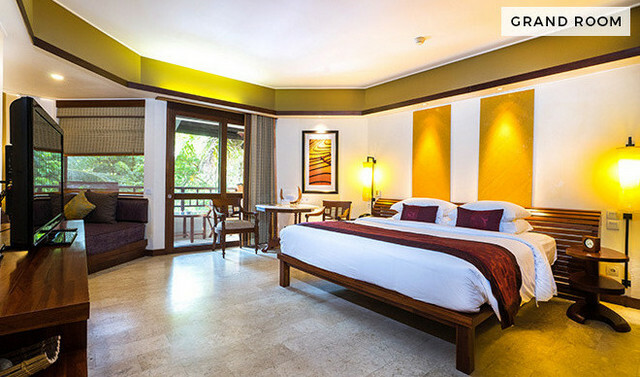 The Grand Hyatt has 636 spacious guestrooms in modern Balinese design. This is luxurious, 5 star accommodation in a spectacular beach front setting, and its star-studded guest list boasts famous names including Barack Obama, Luciano Pavarotti and Sylvester Stallone. The luxurious rooms have plenty of natural light, and include magnificent sights of tropical gardens, lagoons, and white sand beach. Rooms and suites are set across four villages, including Grand Suites, Grand Executive Suites, Ambassador Suites, Presidential Suites, and Villas with private pools. All rooms have individually controlled air conditioning, a separate shower and bath, cable TV, in-room safe, hairdryer and private balcony overlooking tropical gardens, lagoons or stunning views of the Indian Ocean. If you manage to pull yourself away from the room, there’s plenty happening at the resort for you to do. To start with, you have five of the most spectacular lagoon-style swimming pools to choose from (including an awesome 50-metre water slide), as well as a private stretch of beach. Guests can enjoy a game of tennis or work out at the fitness centre (though you’re on vacation, and calories don’t count!). There’s a jogging trail, a nine-hole golf putting green and a fish-themed Kids’ Club, music corner, indoor/outdoor play area, and gazebo (if you’re traveling with family check out the Luxury Escapes exclusive Ultimate Family Upgrade, valid for two adults and three kids aged 15 and under). And then there’s the indulgent Kriya Spa. Kriya (meaning “ritual” in Sanskrit) is a Balinese spa that celebrates authentic island healing forms. Drawing inspiration from traditional Balinese methods, it promotes longevity and youth with the use of local herbs and roots. This is a lavish water palace which features a range of treatments inspired by the healing philosophies of Hindu, Jamu and Ayurveda. Book in for a 60-minute traditional Balinese massage. ➡ Kintamani and Penelokan, Mount Batur. ➡ The Besakig, Bali’s mother temple. ➡ Tanah Lot, a sea temple. ➡ Ubud, the center for Balinese paintings and fine arts. ➡ Celuk, a village known for gold and silver work. ➡ Batuan, a center for the arts. ➡ Goa Gajah, elephant cave and temple complex. ➡ Sanur and Kutar beaches. ➡ Denpasar city and the Bali museum. Dining at Grand Hyatt Bali can only be described as a culinary experience; the resort boasts several of the finest dining restaurants, bars, lounge and entertainment on the island; from an Italian Restaurant at Salsa Verde to romantic rooftop Salsa Bar with panoramic views of the Nusa Dua coastline. 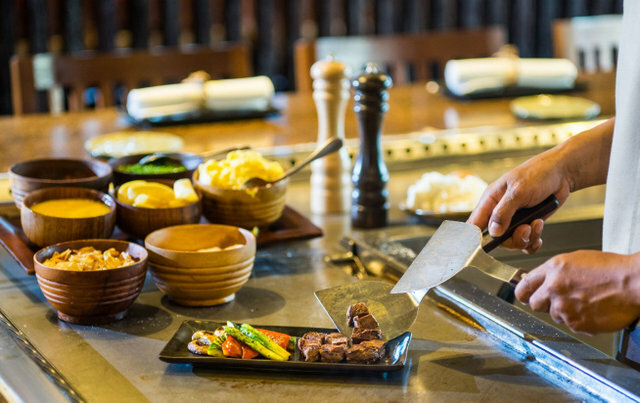 Discover great food of Nampu Japanese Restaurant which serves fresh sushi, sashimi, yakitori and tempura. Dine underneath the stars at Pasar Senggol, designed as a contemporary Balinese night market which serves Indonesian and Balinese food with seafood grill. 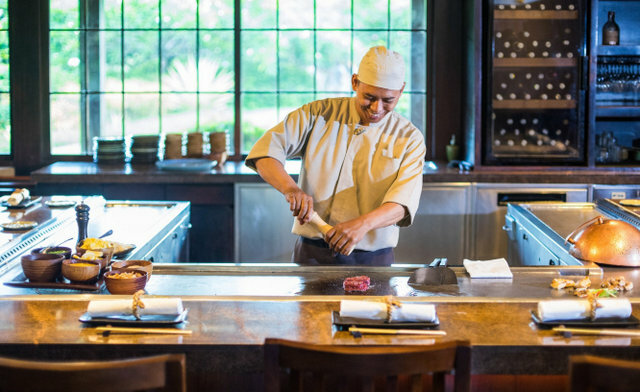 Enjoy breakfast, lunch, and dinner, choose from International Asian and Western comfort foods and specialties at the Garden Cafe or Watercourt Restaurant with Balinese themed breakfast venue. Just a few steps away from the beach and the Indian Ocean, relax and taste original classic cocktail blends at the Pool Bar and Veranda Lounge and Bar. Grand Hyatt Bali is more than a place; it’s a mood, an aspiration, a tropical state of mind. It’s an award-winning beachfront paradise with spectacular lagoon-style pools, tropical gardens, a white-sand beach, restaurants, a spa and much more. How to book at a hugely discounted price? One of Luxury Escapes’ bestselling Bali offers is back and better than ever, with brand new and exclusive packages perfect for both couples and families. Packages include eight nights with daily breakfasts, dining experiences, spa treatments, cocktails and more, valued at up to $6,500 for just $1,999 (two adults plus up to two kids aged 12 and under stay free). You can buy now and book later (packages are valid for stays until 31 August 2018), though be quick, this deal ends soon. Photo credits: Courtesy of the property manager. I saw save a ton and got all excited! But then checked the price range and saw maybe it is still a bit out of my budget. Thanks for sharing! Most welcome, glad we could give you the heads up! This Hyatt resort is really huge and indeed a self contained and exotic village in itself. With everything one would dream for, I think it would be difficult to actually stir out of the resort. A great place to stay in exotic Bali definitely. Definitely a difficult decision to leave, with everything you could possibly want from a vacation, including incredible Balinese culture, right there within the resort. Grand Hyatt looks like a really luxurious experience. If I stay over there I wont want to venture out at all! 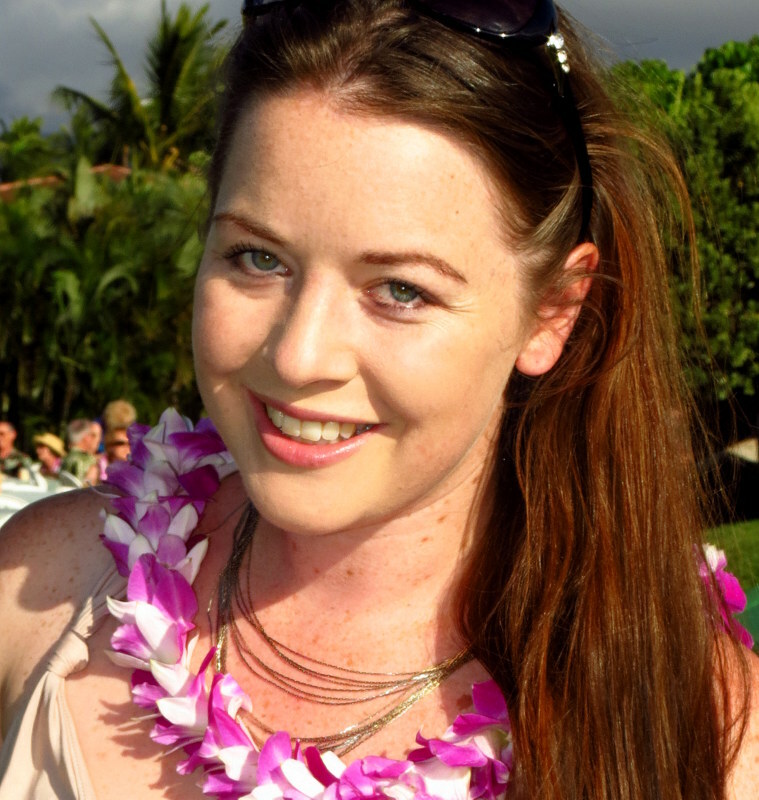 Megan, you are really inspirational, thanks for sharing a wonderful blog post! It’s definitely like that! 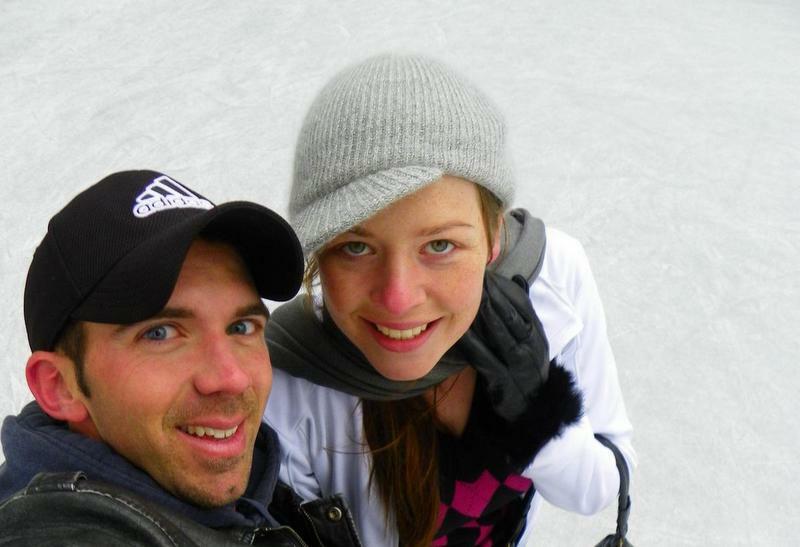 So much to do within the resort you almost feel guilty to leave it and venture out :D! Crazy right – you know it’s a great stay when it has a seal of approval from the President of the United States! (well, previous president, but Trump is #notmyprsident lol). The Grand Hyatt Bali looks amazing! The rooms seem super comfortable, and those views are incredible. It would be hard to pull myself away from that room, but I bet the beaches and the restaurants would be pretty big incentive. Bali continues to be on my wish list, and that discount makes it almost possible! Thanks so much for sharing! So glad we could alert you to the discount Patricia – definitely makes it more possible to plan for an amazing 8 days. The resort is probably one of the leading resorts in the whole of Indonesia – hope you have the chance to travel soon! This looks like an absolutely gorgeous spot in Bali! So luxurious and relaxing-looking! That website seems like a really fantastic deal too! We’re heading to Bali in December-January, so this looks like an awesome opportunity to live in luxury for a major discount for a week! I suppose I have until tomorrow to decide and book! Jump on the deal before they sell out if you’re heading to Bali soon – you’ll have a fab trip! This place is absolutely gorgeous! I love that it’s close to the airport and yet still feels like you are far far away :) I was sold on private balconies. I love waking up and sitting out on a balcony just taking in the views. I can’t believe they have 5 pools and so many dining options. Bookmarking this! Easily one of the most spectacular resorts we’ve found to date! Can highly recommend if you’re heading to Bali, yes, that it’s so close to the airport but such an attraction in it’s own right is a huge +! Wow the suite looks so spacious! With so many facilities on site, I wouldn’t want to venture out either! I will spend a lot of time at the spa for sure. 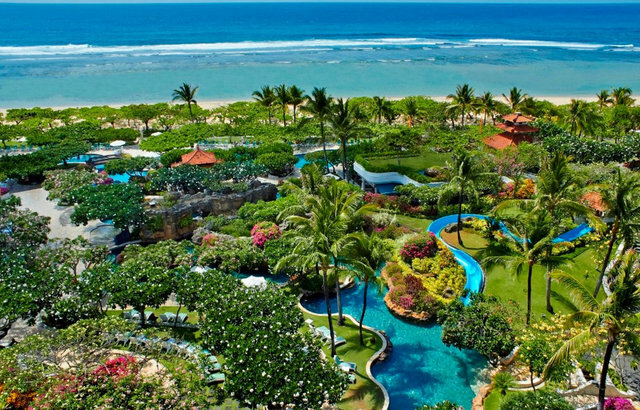 Bali is one of my absolute favorite places on Earth, and this resort looks amazing!! The location sounds perfect, only 15 minutes from the airport. When I was in Bali last year it took us a little over an hour to reach Canggu due to all the traffic. Like you said, I feel like I’d never want to leave the resort there’s so much to do, or simply do nothing and all and just relax. Great post. I’ll keep this place in mind next time I return to Bali. Ours too! The location of the Grand Hyatt is a definite win – don’t have to travel too far after arrival at the airport. And it’s a great place to either kick back and just relax, or get as active as you want to. So many amenities and facilities and so much option for things to do! Hi Adam :) That’s something you would probably need to shoot the hotel an email about directly – or even a Facebook message, I know they’re very responsive on social media so you should get an answer from them pretty quickly. It will likely depend on whether there’s any availability at the time, and because prices usually change throughout the year depending on occupancy (ie it’s cheaper if they have a tonne of rooms available, but more expensive if they’re booked out).